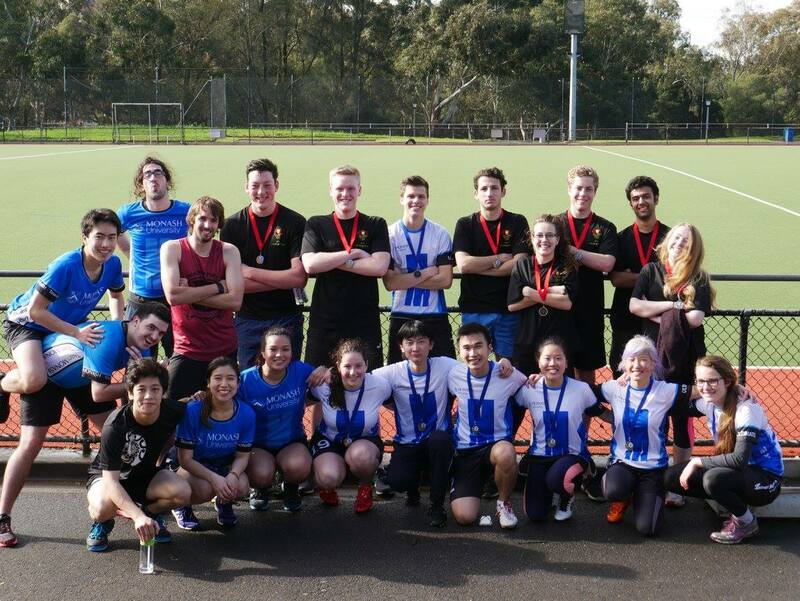 The first day of Monash Games did not disappoint. Even in its 10th year the games were as tough and exciting as ever. Everyone came out with a positive attitude and came ready to play which saw a great day for everyone. Ultimate frisbee was played for the first time this year, and this unique and fun game was a highlight for the games with so much action happening on the field. Although there were only 3 teams, 2 of which had never played before, this didn't stop the level of competition being high. The overall winners were the the Ultimate Frisbee Club's Frisbeelicious, with Camel Toes coming in second. 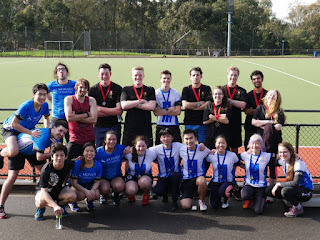 However, this new sport didn't take away from the more traditional sports that have been seen at Monash Games for years. Basketball is always a popular sport in Monash Games, with the level of competition being high with everyone bringing their A game to the court. From 3 pointers, to alley-oops, to even a dunk, there was a multitude of action happening in the stadium. After an intense day, Pistols came out victorious against the Millennium Falcons, 35 to 13. Indoor soccer was the most popular of the sports with 12 teams entered into the competition. Through a tough contest that saw many goals scored and close games, the grand final came down to Brothers FC up against Kroos Control. The game started slow before becoming a storm of goals, with Brothers FC eventually taking out the title with a score of 7 to Kroos Control's 6. Dodgeball was a fierce contest from the get-go, with 4 teams battling it out in a round robin style contest. The grand final saw a great match between Jim Jamboni Supreme Pizza? and Bubblesaur, with Jim Jamboni Supreme Pizza? just beating out Bubblesaur for the championship. Congratulations to all the winners in todays competitions and thank you to everyone who got involved in one way or another. Hopefully we see everyone back next year to tough it out again.